By technocratsid in Elasticsearch on October 28, 2018 . A plugin provides a way to extend or enhance the basic functionality of Elasticsearch without having to fork it from GitHub. Elasticsearch supports a plugin framework which provides many custom plugin classes that we can extend to create our own custom plugin. 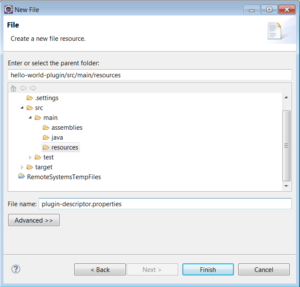 A plugin is just a Zip file containing one or more jar files with compiled code and resources. Once a plugin is packaged, it can be easily added to an Elasticsearch installation using a single command. 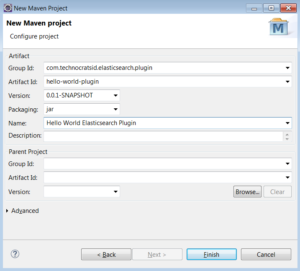 This post will explain how to create an Elasticsearch plugin for Elasticsearch 6.4.1 with maven and Eclipse IDE. If you follow along you’ll be able to create a “Hello World!” plugin demonstrating the classic hello world example. 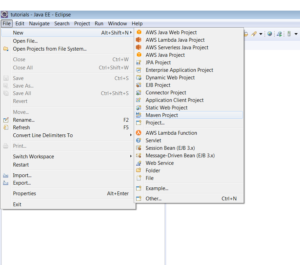 1.1) Create a maven project using Eclipse IDE (you can use any IDE, I personally prefer Eclipse and IntelliJ). 1.2) Skip the archetype selection. 1.3) Add the Group Id, Artifact Id and Name, then click finish. 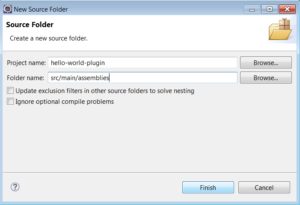 1.4) Create a source folder src/main/assemblies. So the plugin skeleton is ready. 2.1) Open the pom.xml and add elasticsearch dependency. Notice that the scope of elasticsearch dependency is provided. This is because the plugin will run in elasticsearch which is already provided. 2.2) Add the plugin descriptor file. All plugins must contain a file called plugin-descriptor.properties. This means you must provide a plugin-descriptor.properties which should be assembled with your plugin. Create plugin-descriptor.properties file in scr/main/resources. 2.3) Add the plugin security policy file (Optional). Create plugin-security.policy file in scr/main/resources. The above content is just a reference and you might require different set of permissions. To know more about JDK permissions refer this. After the creation of plugin-security.policy file, you have to write proper security code around the operations requiring elevated privileges. Note: We don’t need to perform this step for the Hello World Plugin. This is necessary if your plugin needs some security permissions. 2.4) Create the plugin.xml file. Create the plugin.xml file in src/main/assemblies which will be used to configure the packaging of the plugin. 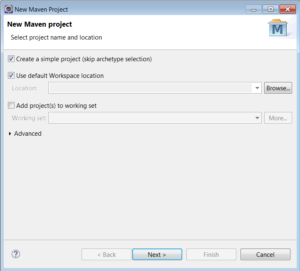 2.5) Declare the maven assembly plugin in the pom.xml. 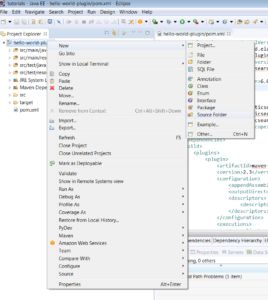 2.6) Declare the maven compiler plugin in the pom.xml. 3.1) Creating a new REST endpoint _hello. To create a new endpoint we should extend org.elasticsearch.rest.BaseRestHandler. But before doing that, initialize it in the plugin. Create a class HelloWorldPlugin which extends org.elasticsearch.plugins.Plugin and implements the interface org.elasticsearch.plugins.ActionPlugin. Create a class HelloWorldRestAction which extends org.elasticsearch.rest.BaseRestHandler. After this step you’ll find the packaged plugin Zip in target/releases folder of your plugin project. After installing the plugin start Elasticsearch. You’ve got a head start ! !